If the .22 long rifle rimfire cartridge is the most popular cartridge in the world then the ruger 10/22 is certainly one of the most popular .22 rifles in the world. In production since 1964 it still has a strong following and is popular not only for its simple rugged design but because it can be easily modified and adapted for a variety of tasks, from simple plinking to serious target shooting and hunting. This article will help you choose the best scope for the Ruger 10/22. The 10/22 features a semi-automatic action and as its name suggests is chambered in the ever popular .22 long rifle cartridge, a magnum version chambered in .22 WMR was made from 1998 to 2006 and a .17 hmr version was announced in 2004 but never put into production. It features a patented 10 round rotary magazine unique to Ruger but can also be used with after-market box style magazines. This rotary magazine is a great feature as it leaves no protruding parts making the rifle incredibly smooth and easy to handle. After market box mags may add to the capacity of the rifle but don’t underestimate the factory ten round version as it is incredibly well made and well thought out. art of the appeal of the 10/22 when it was released was its superficial similarity to the classic .30 calibre M1 Carbine but with aftermarket modifications 10/22’s can be made to look like a range of recognisable weapons, particularly popular are the after-market AK and AR style stocks, the number and availability of after-market options including stocks and magazines just adds to the appeal of the 10/22 and there are companies that dedicate themselves to producing customised 10/22’s to the precise specifications of their clients to give them the perfect rifle for their needs, there is probably no rifle more customised than the 10/22 on the market today. The standard version of the 10/22 features a 20 inch barrel and plain wooden stock, additionally there are many models available direct from the manufacturer even before after-market modifications. These variations include a carbine version with an 18.5 inch barrel, a compact model with an even shorter 16.12 inch barrel, a takedown version with folding synthetic stock and stainless action and barrel. A number of target variants are also available as well as the ‘SR-22’ variant which features the standard 10/22 action in an AR-15 style chassis. One of the strangest variants, now discontinued, was the 22 charger pistol version which comes with a laminate pistol stock, 10 inch barrel and bipod. Whatever variant you opt for though and however much aftermarket modification and customisation you do or don’t do you will be benefiting from a true adult sized rifle that can be great fun for plinking but also be tremendously useful for more serious target shooting and hunting. While some .22 rifles are built specifically for beginners or youth sized shooters the 10/22 is a full sized rifle and handles like one too. Using a ruger 10/22 isn’t a compromise, you won’t have to make do with a short stock you are getting a full sized fully functional rifle with a fantastic action. Once you have settled on a 10/22 as the rifle you are going to use though you will need to choose an optic for it, because it is so versatile though and can be bought in so many variations and customised in so many ways there is no single scope that I can recommend you will have to carefully consider your intended use for this rifle and choose your optic accordingly. Optics or not; that’s the question. You even have the choice with the standard 10/22 models of foregoing optics and sticking with traditional open sights, many of the 10/22 models come with open sights as standard and it’s well worth getting used to them before mounting an optic on your rifle. Bear in mind that the .22 rim fire is a very old cartridge and long before optics were commonly used on rifles the .22 long rifle cartridge had been developed. ‘Rimfire’ cartridges have been around since the mechanism was patented in 1831 and the first cartridge using the technology was the Flobert .22 BB cap which was originally designed for indoor gallery shooting, this cartridge was very low powered, similar to a modern air rifle but was followed a in 1957 by the .22 short which was originally designed to be fired from the first Smith and Wesson revolver. A few years further on, in 1887 and after much experimentation with rim fire loads and cartridges the .22 long rifle came about when the .22 long and .22 extra long, both now long obsolete, were combined with the cartridge case from the long and the bullet from the extra long making a perfect combination. While the .22 is the rim fire cartridge that has stood the test of time there were many others for a while which were later superseded by centre fire cartridges but the original Henry lever action rifle was chambered in .44 rim fire and the rim fire .56-56 carbine was used by General Custer and his men. More recently the .17 hmr was developed giving us a selection of the .22 long rifle, .22 magnum and .17 hmr to choose from when it comes to rim fire cartridges. With this history in mind it’s only fair to give the 10/22 a chance with open sights and you will find that it’s a pleasure to shoot, eventually though you will eventually want a proper optic for longer range shooting or the kind of precision required for hunting. The 10/22’s versatility, a definite plus point from most perspectives, can actually be an obstacle to selecting a scope for it. There is no single type of scope that can be recommended for every single discipline that you might use a 10/22 for so we need to consider what role you need your scope to perform before settling on an optic for your rifle. The compact and take down models, especially when fitted with aftermarket tactical stocks lend themselves to practical target disciplines and competition shooting and therefore might best be paired with a light weight tactical style rifle scope will minimal magnification which will aid fast target acquisition and precision at close to medium range. For dedicated target shooting at longer range with the target oriented versions of the 10/22 you would be foolish not to take advantage of the .22 long rifle cartridges tack driving precision at ranges between 25 and 100 meters with a more traditional scope with higher magnification, up to maybe 12 power, and other features to aid target shooters such as target turrets, to make precise shots. For hunting, traditional optics will be your best choice and something with a fairly large objective lens and possibly an illuminated reticle for shooting at dusk and dawn will help you make the most of your rifle. The 10/22 is a very affordable rifle which doesn’t need to cost you a fortune, this kind of sight offers fast target acquisition for fast shooting fun without costing you a fortune. With a recommended retail price of well under $100 this optic won’t break the bank whatever your budget. The simple but rugged aluminum construction is strong but the integral piccatiny mount will require a piccatiny rail to be fitted to your rifle. While this scope might not be the best choice for a full bore centre fire rifle like an AR in .300 AAC or 5.56mm which will recoil much more heavily than a .22 rim fire it will be perfect for your 10/22. 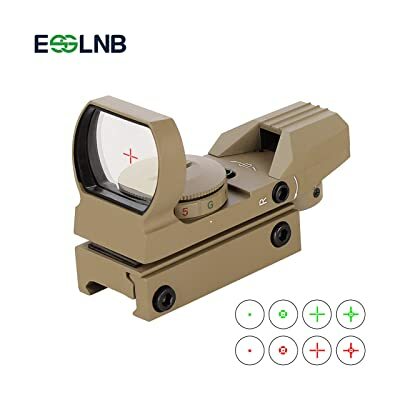 This optic will be great if you are on a budget and want a suitable scope for some fun shooting, the multiple brightness settings and colors make shooting in low light conditions easier and target acquisition faster. 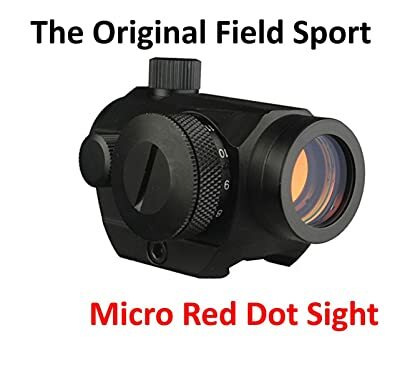 Micro red dot’s like this one from FieldSport are much more robust than reflex sights and won’t add any weight or bulk to your rifle. They provide great fast target acquisition but as will most of these compact optics will require a picatinny rail to be fitted to the rifle. The aluminium construction will keep your optic intact even if it is treated roughly and the multiple brightness settings will be useful for shooting in low light. Rather than low or no magnification a scope for hunting needs to offer a bit of magnification and some light gathering ability. They don’t necessarily need to be massive, and actually in the interest of weight lighter scopes without the heavy and expensive features of dedicated targeting shooting optics won’t be so difficult to carry around in the field. Reflex sights and red dots are perfect for plinking and tactical style target disciplines but sometimes you just can’t beat a proper optic. Hunting is one of those situations where you need a proper optic and this product from Barska might just be perfect. 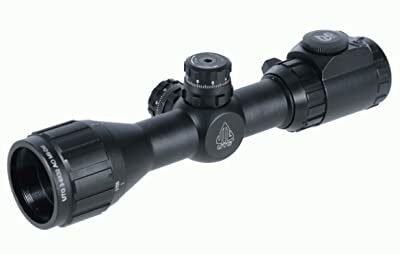 It is a very compact scope offering 4 power magnification which is perfect for hunting at moderate ranges and target turrets for easy adjustments to the zero. Adding even more value to this product is the fact that the mounts are included at no extra cost. Another compact scope option for your 10/22 this product from UTG is perfect for light weight hunting at the ranges that the .22 rim fire round is suited to. It gives you target turrets as well as a low profile 32mm objective lens which balances light gathering with low weight and the ability to mount the scope low to the axis of the rifle. The EZ TAP illuminated reticle gives you 36 color and brightness settings for low light shooting which is important to consider when you are hunting. High magnification scopes aren’t always at home on .22 rim fire rifles but the target versions of the 10/22 have enough potential to make higher magnification scopes worthwhile. High magnification target optics can be expensive especially when they are built to withstand the recoil of centre fire rifles but the gentle recoil of the .22 rim fire round means you can shop for cheaper optics without compromising on performance. I have been using simmons scopes for years on air rifles and rim fire rifles in both .22 and .17 hmr calibres. They are superbly made and can be found for very low prices and are extremely affordable and effective. 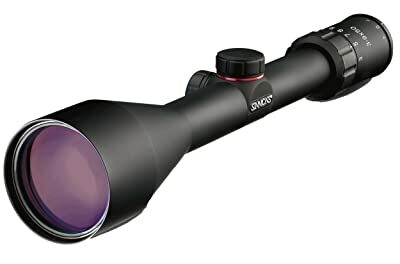 The 50mm objective of this scope gathers light fantastically for low light shooting conditions and allows you to use your .22 for hunting and varmint shooting where precision is required to get that illusive head shot for a clean kill. The variable power gives you the ability to scope for targets or to zoom in for precision on small game or targets. 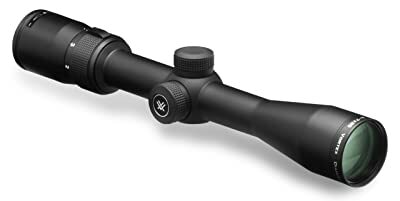 They may not have been around all that long compared to other optics companies like simmons but Vortex Optics are producing some of the best products on the market, affordable and exceptional quality this particular scope is designed specifically for rim fire rifles and will be the perfect addition to your 10/22 for precise shooting for game or targets. It’s worth remembering that the 10/22, as with any rim fire rifle, should not be dry fired. Due to the design of rim fire cartridges which rather than featuring a primer in a pocket in the centre of the base of a cartridge case has a built in primer in the form a compound in the rim of the cartridge case. Instead of being struck by a central firing pin a rim fire cartridge is struck on its rim by a pin with a rectangular cross section, rather than striking nothing a rimfire firing pin can strike the steel breech face instead of a relatively soft brass cartridge if there is nothing in the chamber. This will damage the firing pin over time, potentially dulling it or breaking it which can cause miss fires or if a sharp edge is formed when the pin fractures may pierce the base of the cartridge. So don’t dry fire your 10/22. products, more money might get you a product that would be suitable for use on a centre fire rifle but that extra strength and functionality will be wasted on a rim fire. Stick to some of these products or even buy a couple so you can switch easily between a standard telescopic sight for hunting and precision and a reflex or red dot for fast action plinking. Two of these products won’t break the bank and will set you up to have a huge amount of fun as well as put game on the table with your 10/22, one of the most versatile and well respected semi-auto rim fires ever. Don’t ever underestimate the .22 long rifle cartridge, it is a stunning little round for everything for target shooting, within its design parameters and the ranges it is intended for it can’t be beaten and the 10/22 will be the perfect platform for you to make the most of it. Now that you have chosen your rifle use the advice here to choose the best scope for the Ruger 10/22.